The beauty and richness of the woodgrain is the real star of the show on our Brownstone Nut cocktail table. 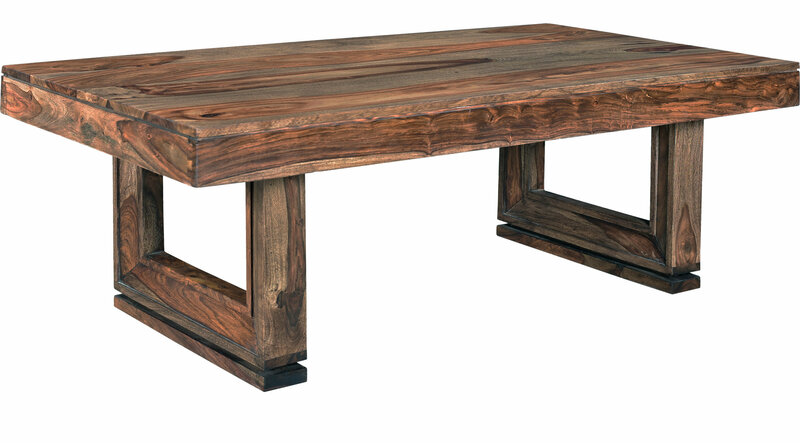 The brown finish brings out the best in this solid sheesham-like table. Picture framing adds a sophisticated element to the simple leg design. With added routing along the apron and leg base, the table seemingly floats above the floor.